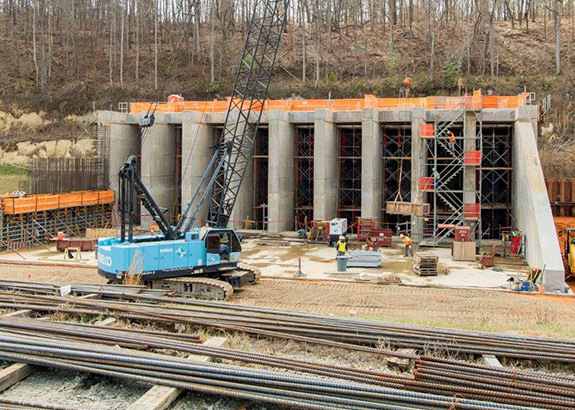 Energy - Projects | Allen & Graham, Inc.
A&G drove (451) 18” concrete piles and poured over 3,000 CY of concrete for equipment foundations that were part of an expansion of a liquid natural gas facility. This facility was located on Elba Island, near Savannah, Georgia. Allen & Graham constructed the water intake structure on the Savannah River for Plant Vogtle Nuclear Power Facility Units 3&4. These are the first nuclear reactors constructed in US in over 30 years. The intake structure consists of approximately 10,000 CY of concrete and is divided into 9 bays with 3' thick walls extending 40' high. 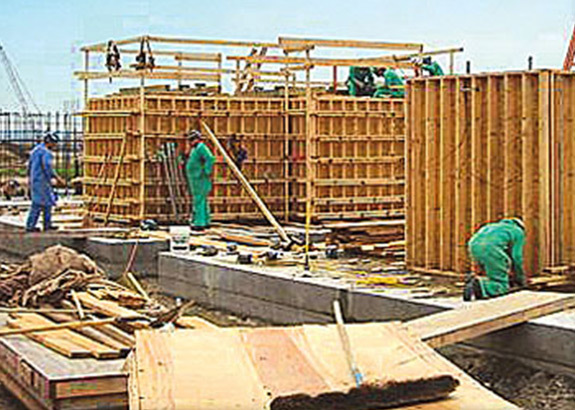 The top of the structure is a 3' thick elevated slab with complex block-outs and embeds for drainage and equipment. Many of the pours were made using a self-consolidated concrete due to the size and intricacy of the reinforcing steel. Working in a nuclear environment, there were very stringent qualifty control and safety requirements. A&G's 115,000 manhours resulted in zero OSHA recordable incidents. The construction of a 90,000 SF cooling tower also included the installation of an intake structure, 1,100’ of 96" concrete pressure pipe, discharge structure, 1,400’ blast rock weir, and (3) electrical service buildings. 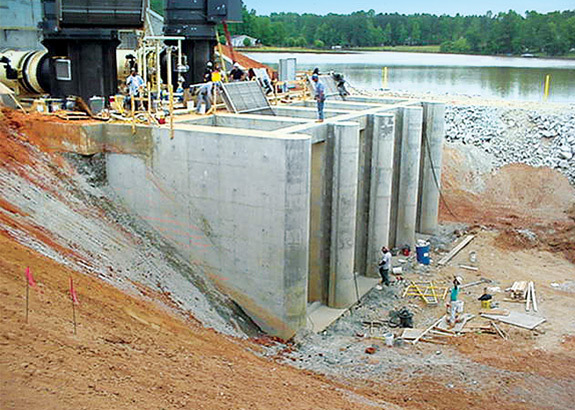 Two temporary sheet pile cofferdams were also constructed to dewater areas of the lake to 30’ below the waterline in order to install the intake and outfall structures. The complete project required over 10,000 CY of concrete. This project was awarded the Associated General Contractor’s Build Georgia Award. 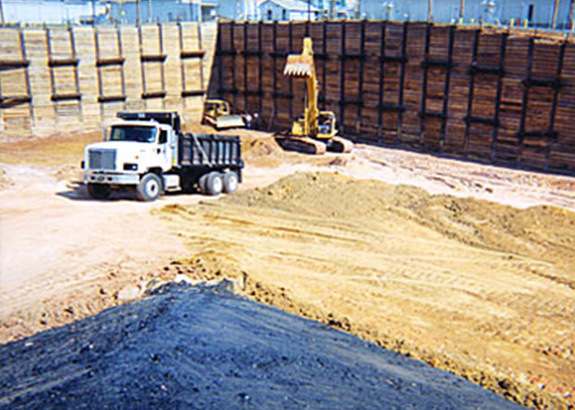 A&G constructed a steel and wood lagging retention basin for construction of a material handling building at the Savannah River Site (SRS) near Aiken, South Carolina. The SRS extracts, purifies, recycles, and disposes of radioactive material.